Born in Gibraltar 1945. 1960 joined the YCW (Young Christian Workers), a lay movement with a strong social orientation. Founder member of the periodical “Social Action” <1966-1975>. Active in the Trade Union Movement throughout working life. Founder member of Action for Housing<1981>, a pressure group to which I still belong. 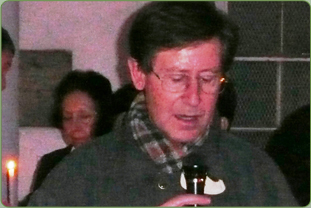 Was appointed Gibraltar’s First Public Services Ombudsman<1999> and served until December 2002. Member of Alameda Estate Tenants Association which I helped to form in 1990. I continue to be committed to social justice and the protection of the environment and am closely involved in several ESG campaigns. ESG Comment: Henry has brought his own unique brand of activism and determination to the ESG which has strengthened the groups standing in the community. His sense of moral and ethical justice is one that translates easily to environmental protection for all living things including humankind.